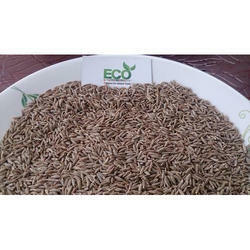 Eco Export is the largest exporter, & supplier of Cumin Seeds from India. We clean, process & sort under hygienic conditions as per European Union norms with highly advanced sorted machines. The oblong, brown-coloured cumin seed is one of the most popular spices in the world, thanks to its distinctive aroma, and warmly bitter flavour. Cumin seeds can be used raw, but is generally roasted to enhance the flavour and aroma. Cumin seeds are used as whole & in powder form as well. Cumin seed has become the majorly used spices in all Europe, Gulf countries, Malaysia & Africa. Cumin seed retains high aroma to food & also provide many nutrients to body. Fenugreek Seed is used as a spice and fenugreek leaves are eaten as a vegetable in India, China and the Middle East for centuries. The practitioners of Ayurvedic and Traditional Chinese Medicine have used and documented Methi seeds for its many medicinal uses. This spice, which is actually a lentil, is used throughout India for its distinctive flavor (it has a slightly bitter taste) it gives the dish and for its wonderful healthful properties. Fenugreek is used in small quantities and is used throughout India - both in north and south Indian cooking. As a matter of fact, after turmeric, fenugreek seeds are the most medically useful item in an Indian kitchen. 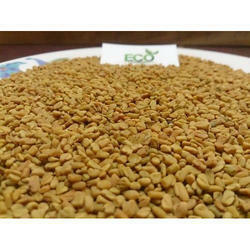 Fenugreek Seeds with good Saponin and Alkaloid contents. The Fenugreek Seeds range has been used for centuries as a culinary spice and their extracts as flavorings. Medicinally it is used for the treatment of wounds, abscesses, arthritis, bronchitis, and digestive problems. 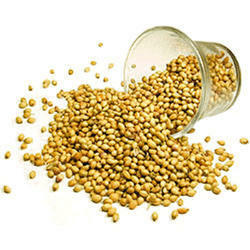 The Fenugreek Seeds range is offered in both whole and powdered form. Turmeric Finger is used to flavor and to colour foodstuffs. It is a principal ingredient in curry powder. 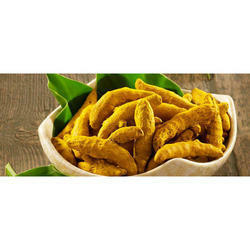 Turmeric oleores in is used in brine pickles and to some extent in mayonnaise and relish formulations, non-alcoholic beverages, gelatins, butter and cheese etc. The colour curcumin extracted from turmeric is used as a colourant. Turmeric is also used as a dye in textile industry. It is used in the preparation of medicinal oils, ointments and poultice. It is stomachic, carminative, tonic, blood purifier and an antiseptic. It is used in cosmetics. The aqueous extracts has bio pesticidal properties. Eco Export offer fresh wheat that is a perfect choice for wholesome nutrition. Wheat Grains are a staple food used to make flour for leavened, flat, steamed breads, Biscuits, cookies, cakes, breakfast cereal, pasta, noodles, couscous and for fermentation to make and other alcoholic beverages. The wheat seeds offered by us are of superior quality the wheat seeds are provided in quality packaging and are customized as per the requests of the clients. Wheat are used in various culinary dishes and made available by us at the most. Delivery : Within 15 working days from the date of receipt of Confirmed Payment Instrument to the loading port. Packing : Multi wall PP bags of 25 kg or 50 kg. Mode (1) : 100% confirmed, irrevocable Letter of credit at sight of documents at bank. Mode (2) : 30% advance 70% against scanned copy of shipping documents. Let me know if you have got any questions. Awaiting a swift reply. 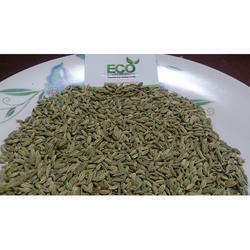 Eco Export holds immense specialization in serving the patrons with an optimum quality gamut of Coriander Seed. The offered Coriander Seeds have a lemon citrus flavor and prominently used in all cuisines for adding a distinctive flavor. Coriander is an important spice crop having a prime position in flavoring food. The plant is a thin stemmed, small, bushy herb, 25 to 50 cm in height with many branches and umbels. Leaves are alternate, compound. The whole plant has a pleasant aroma. The inflorescence is a compound umbel comprises 5 smaller umbels. Fruit is globular, 3 to 4 mm diameter, when pressed break into two locules each having one seed. The fruit has delicate fragrance; seeds are pale white to light brown in color. Eco Export provides our clients with a range of Fennel Seed, which is to flavor bread, cakes and confectionery. These are also an ingredient of Chinese five spices. Fennel has an anise-like flavor but is more aromatic, sweeter and less pungent. While greenish seeds are much softer and naturally sweeter. Excellent in taste, these seeds are used in different types of dishes to add unique taste and flavor. Offered seeds are properly cleaned and processed by our experts using the latest tools and processing techniques. Being a quality conscious company, we assure our clients that these seeds are best on counts of taste, quality & purity. 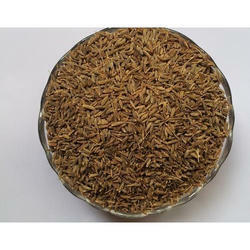 We are leading exporter of cumin seeds from India. We supply high quality cumin seeds from Unjha. Unjha cumin seeds is known for its good aroma and taste. Cumin seeds is also knows as Jira, zeera in Indian Market. Cumin seeds is main ingredient in many indian dishes. it is fried or roasted before being used add flavor in dishes. 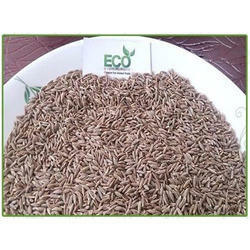 Eco Export is the largest exporter, & supplier of Cumin Seed from India. We clean, process & sort under hygienic conditions as per European Union norms with highly advanced sorting machines. The oblong, brown-coloured cumin seed is one of the most popular spices in the world, thanks to its distinctive aroma, and warmly bitter flavour. It can be used raw but is generally roasted to enhance the flavour and aroma. Cumin seeds are used as a whole & in powder form as well. Cumin Seed has become the majorly used spices in all Europe, Gulf countries, Malaysia & Africa. Cumin seed retains high aroma to food & also provide many nutrients to the body. 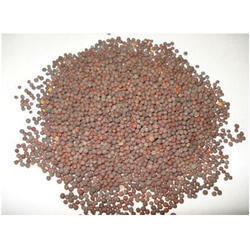 Eco Export is supplier and exporter of Mustard Seed. We source our product from most trusted vendors in our country. We are keen on product quality, hygienic processing, and packing. Mustard seeds are the proverbially small seeds of the various mustard plants. The seeds are about 1 mm in diameter and may be colored from yellowish white to black. They are important spices in many regional cuisines. Mustard is one of the most ancient spices. These small seeds pack a lot of health benefits. Looking for Whole Spice ?